The UTMB is a trail-running event full of superlatives! An essential event for trail-runners from all over the world. Each year, the elite of the trail-running world find themselves in Chamonix alongside almost 10 000 runners keen to participate in one of the event's 7 races. ​Committing oneself, to running around Mont-Blanc, is above all to experience an internal adventure, an unique experience where each participant will have to draw from their strengths and push their mental and physical limits in order to cross the finishing line. This extraordinary trip at the heart of the massif will permit trail-runners to cross valleys and passes in contact with the most beautiful summits, in an alpine décor which is unique in the world. 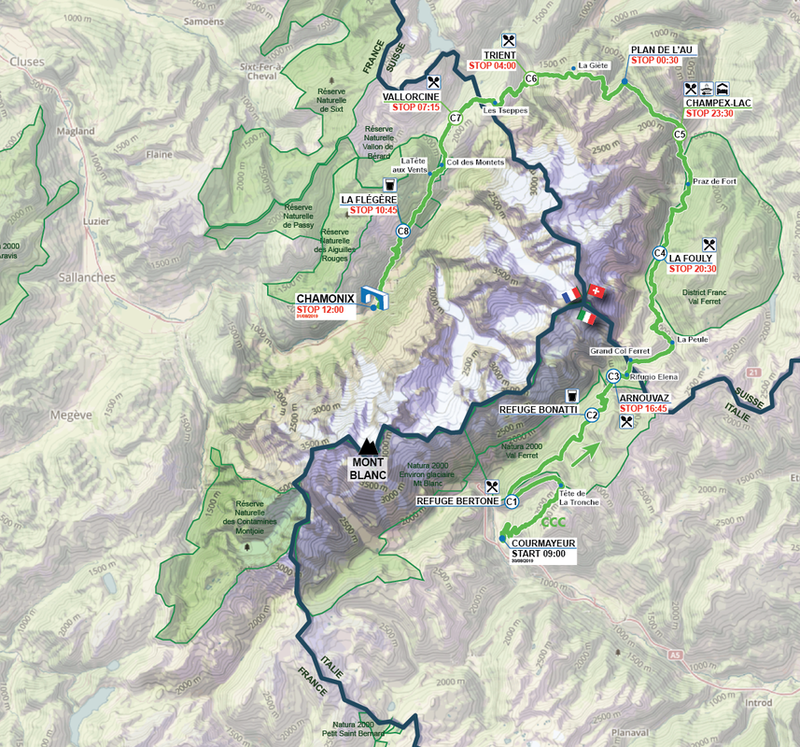 ​The Courmayeur-Champex-Chamonix (CCC) route is around 101 km in length for about 6100 metres of height gain, starts from Courmayeur, in semi-autonomy and in 26hrs 30 mins max. The start is organised in three waves to help the fluidity of the race. Start zones calculated according to the ITRA's performance index's criteria . Around 1900 runners.